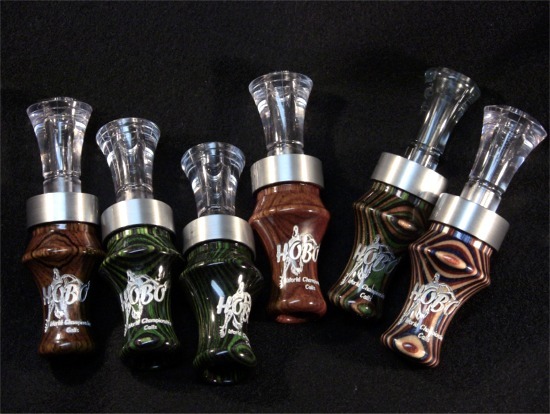 Our wood/polycarbonate duck call has an Echo insert, which was used to win the 2007 World Live Duck Championship. It will give you the range to call ducks with a lot of volume and to be able to break them from far off. It will get soft with raspy quacks and is a favorite of many hunters. It is available in single or double reed.